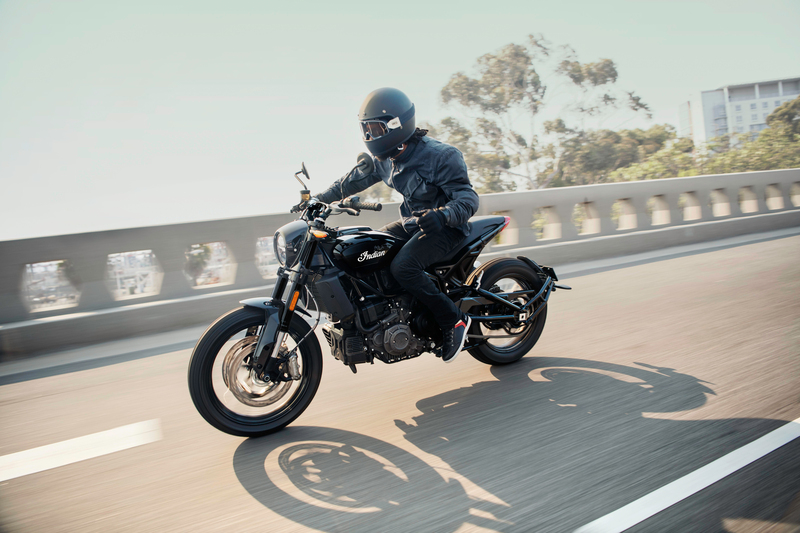 We’ve been talking about this motorcycle on The Bike Show for what feels like decades, and at last – at bloody last! 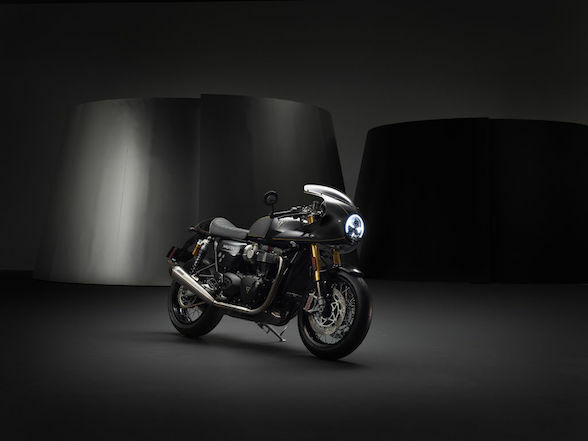 – we can see it in the flesh, and it has not disappointed. 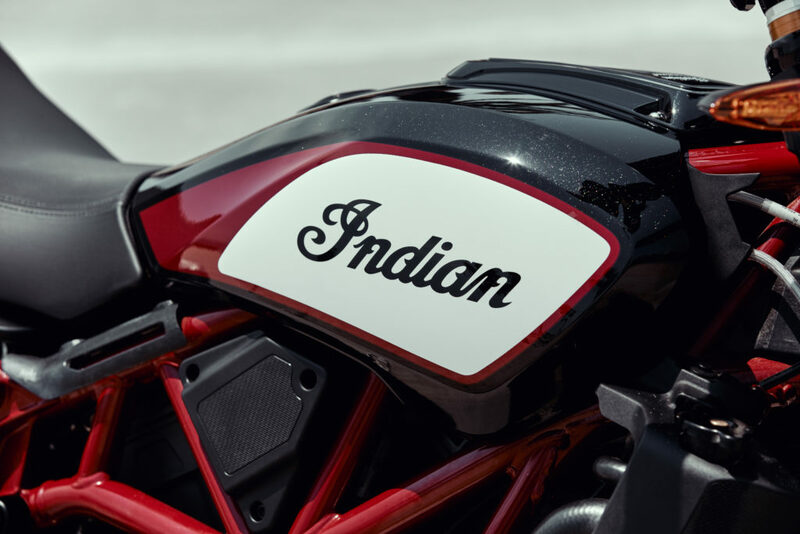 The covers have been lifted off the new Indian FTR1200, the street version of the Indian FTR750, the race bike that took all the laurels in its first year of the American Flat Track Championship. 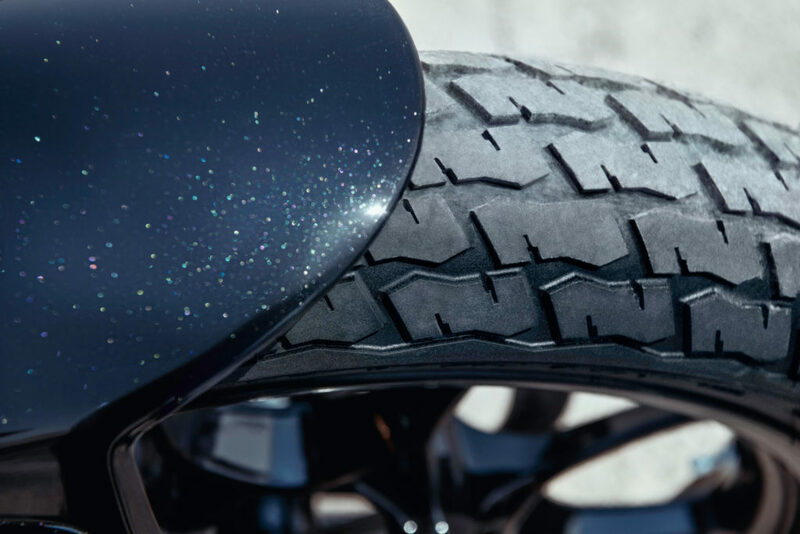 Although it comes with lights, indicators and all the road legal goods, it does look thoroughbred flat tracker. 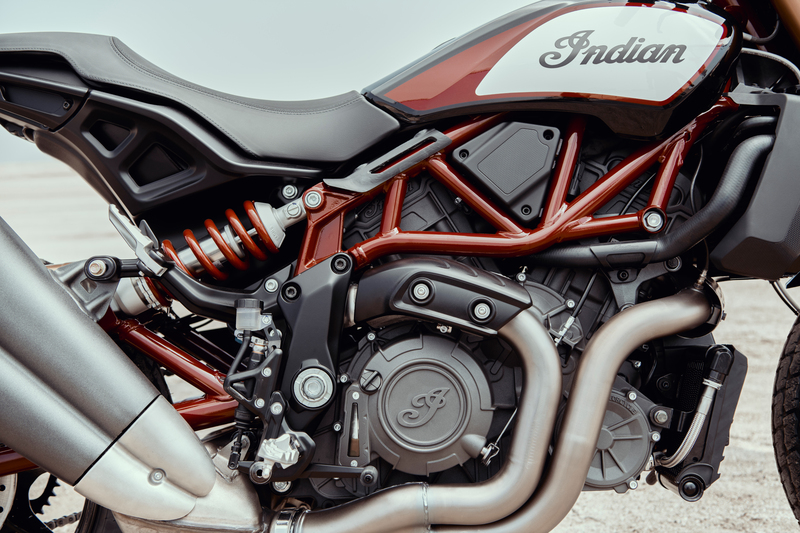 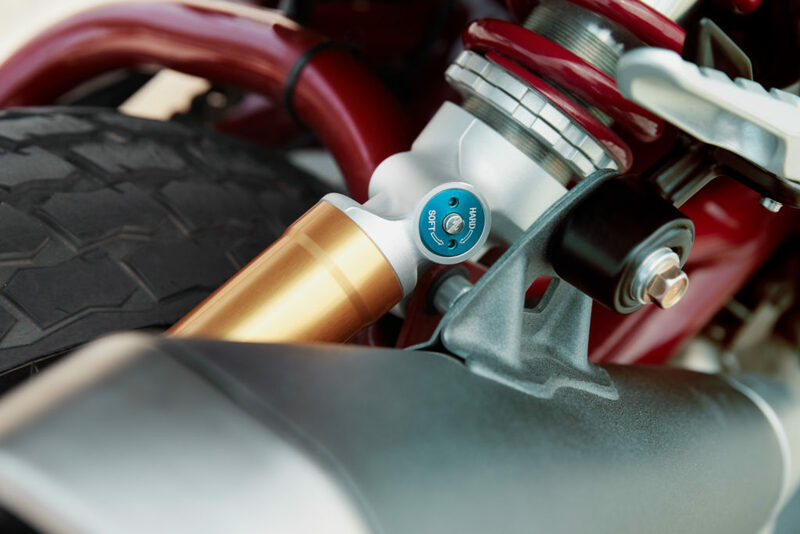 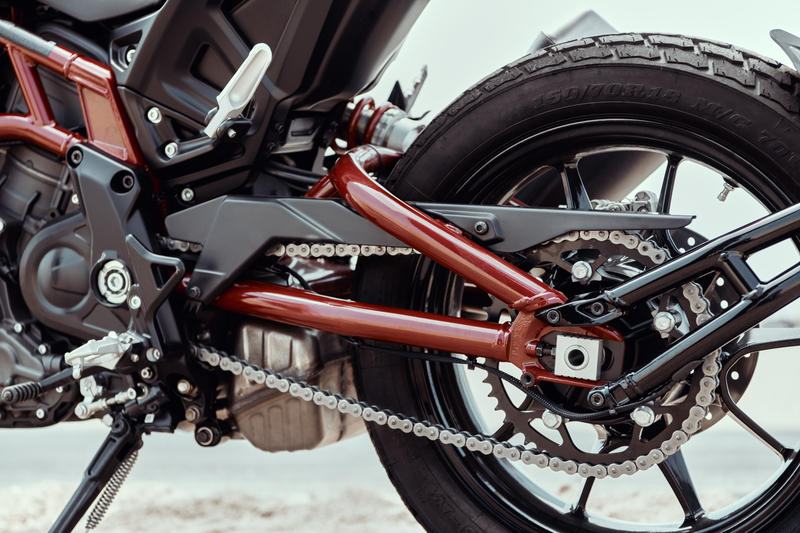 The frame and swingarm are unashamedly steel-trellis just like the race bike, the motor is a 1203cc liquid-cooled V-twin pushing “approximately” 120hp and 115Nm of torque, the brakes are from Brembo, the fuel tank is under the seat to lower the centre of gravity plus achieve better balance and the airbox is directly above the motor to achieve better airflow. 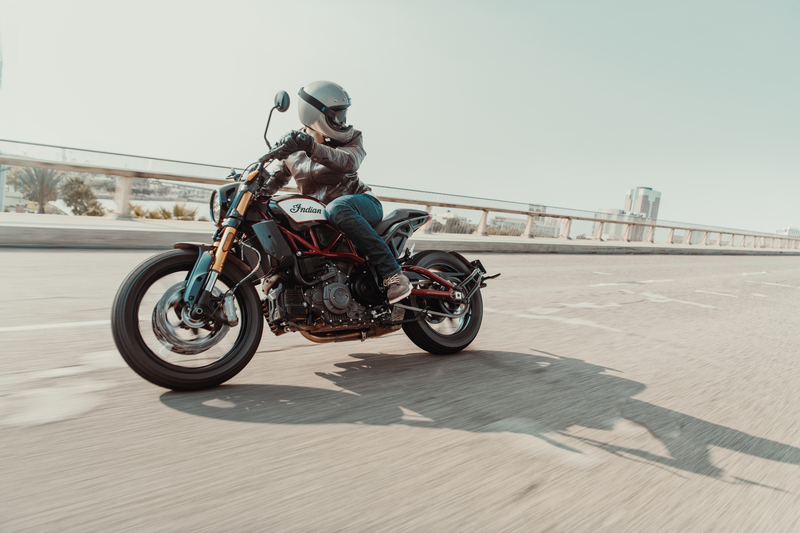 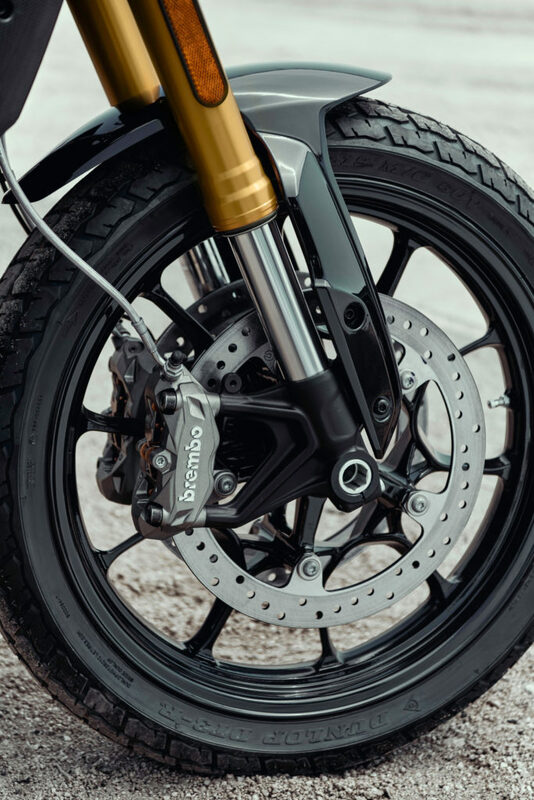 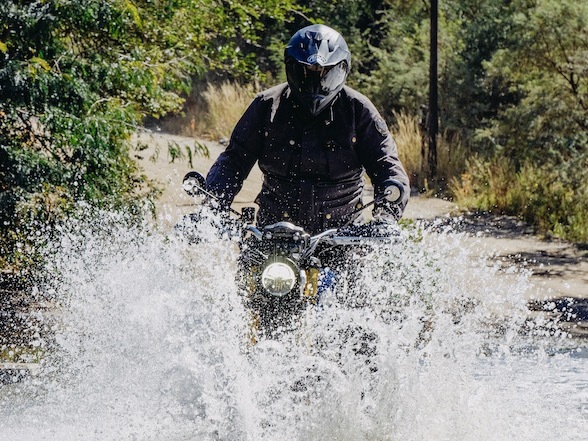 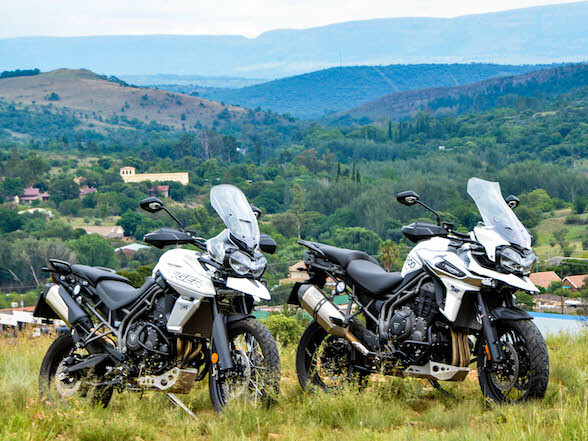 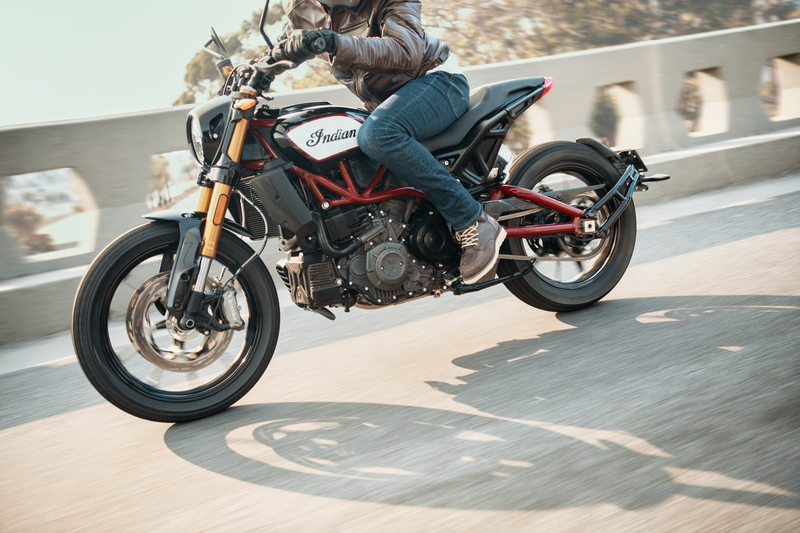 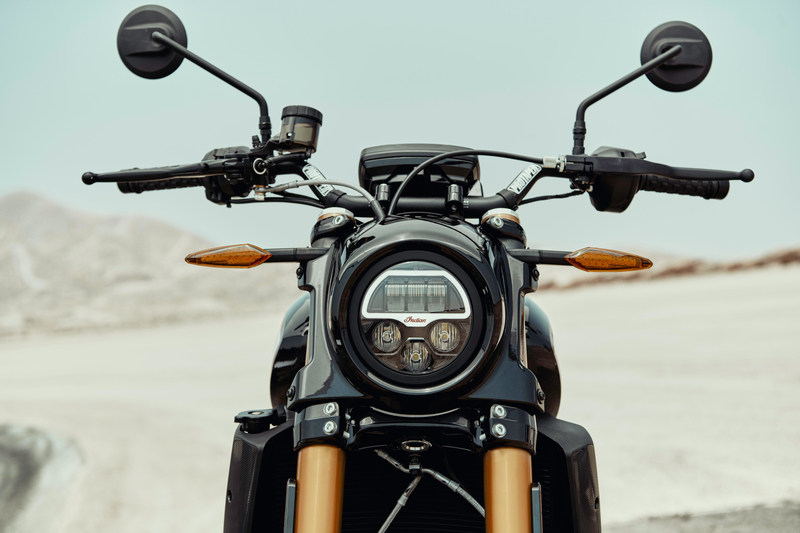 More so, it has newly developed Dunlop tyres designed to suit the flat track styling plus ProTaper handlebars to give it a truly flat track look. 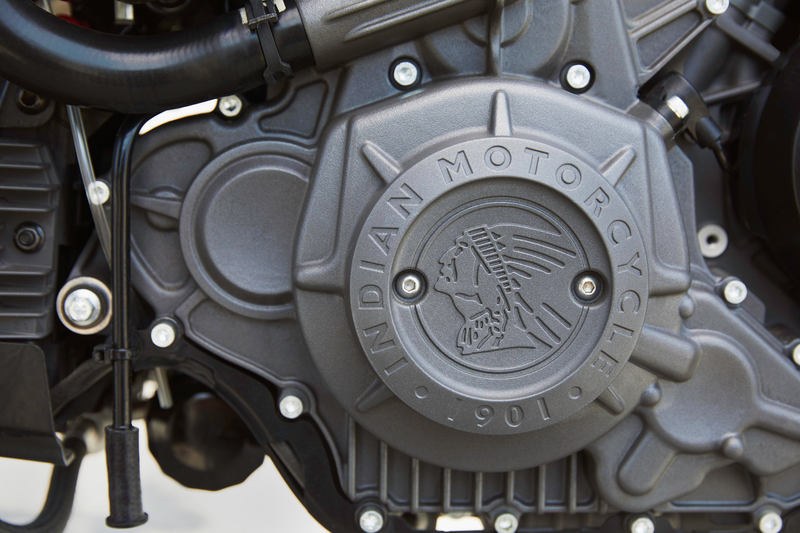 The engine features a 12.5:1 compression ratio, high flow cylinder heads and dual throttle bodies. 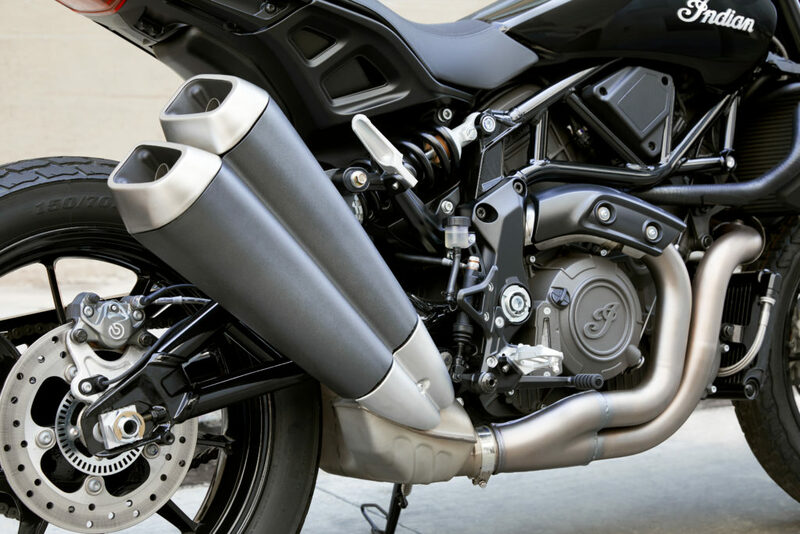 Additionally, the engine makes wide use of magnesium to lower weight and a low-inertia crankshaft that allows the engine to rev to its redline more quickly. More so, the motor has been designed so that the torque curve is as flat as possible, meaning it will pull from ridiculously low RPM. 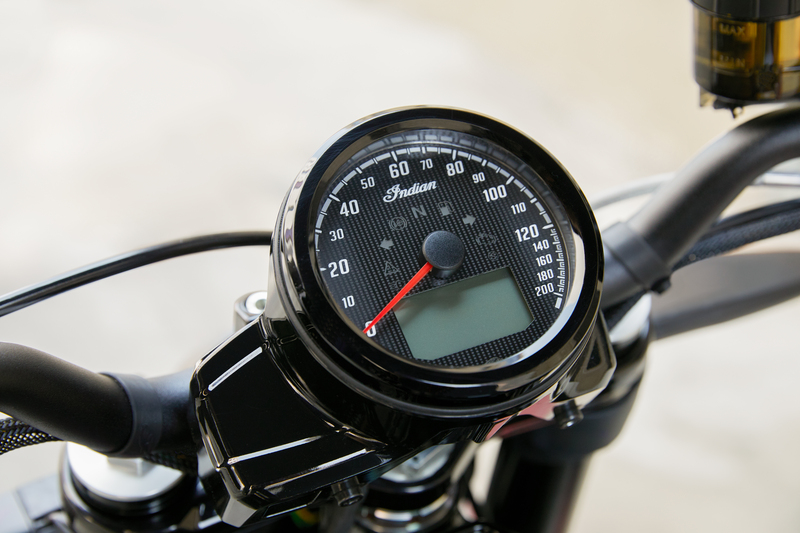 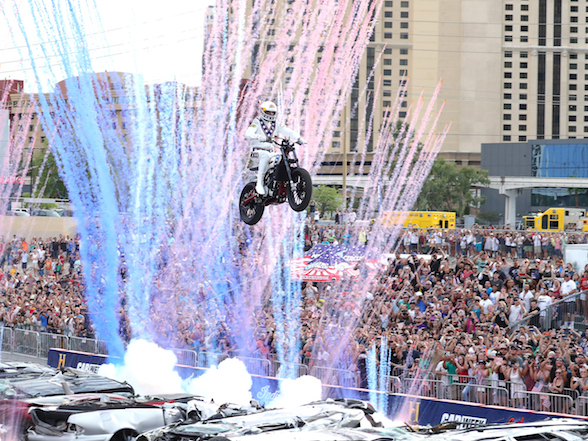 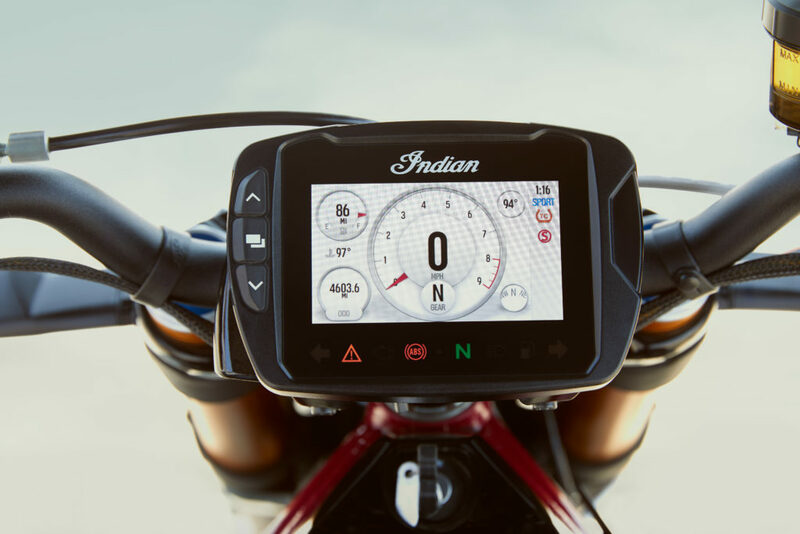 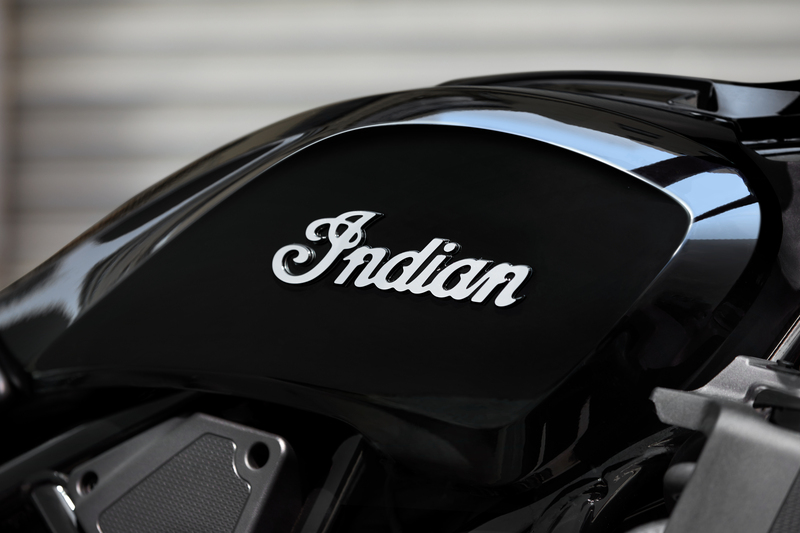 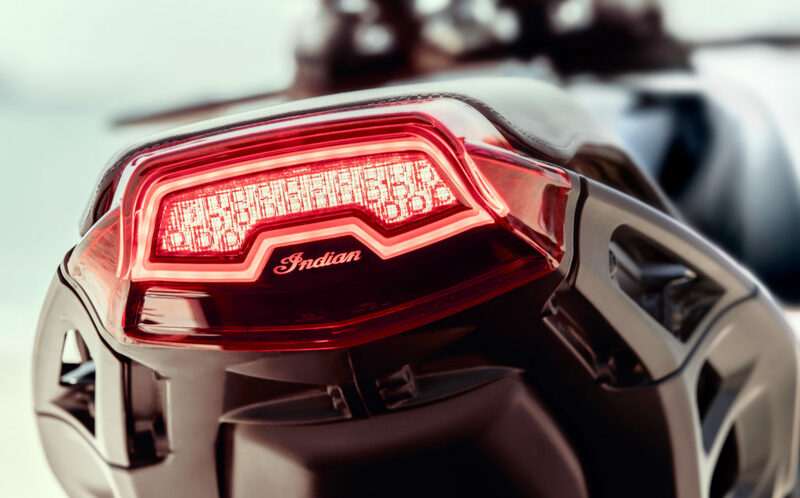 More so, Indian have put on more than a 1,6 million kilometres of testing on the simulator and tens of thousands of kilometres of street testing with test riders and some of their top racers, all to ensure that the final product is up to the task. 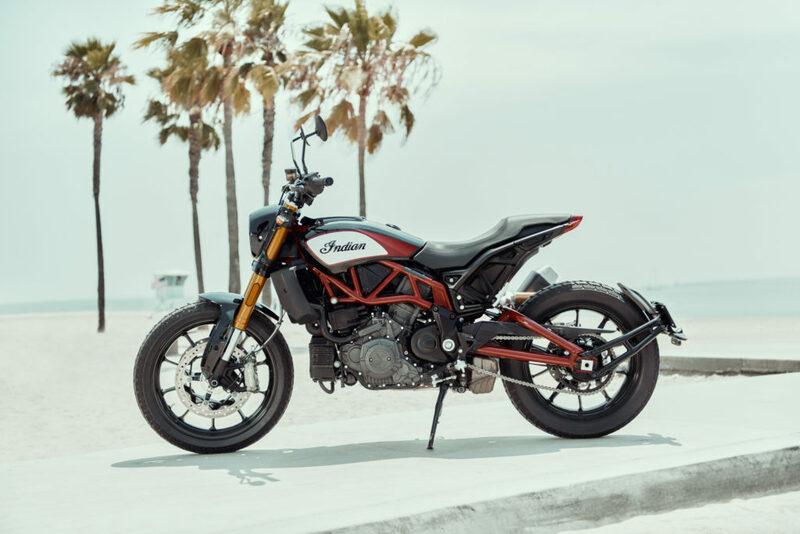 This motorcycle does induce some nostalgia here at The Bike Show as one of our favourite American motorcycles was the Harley-Davidson XR1200 that was also based on their flat tracker. 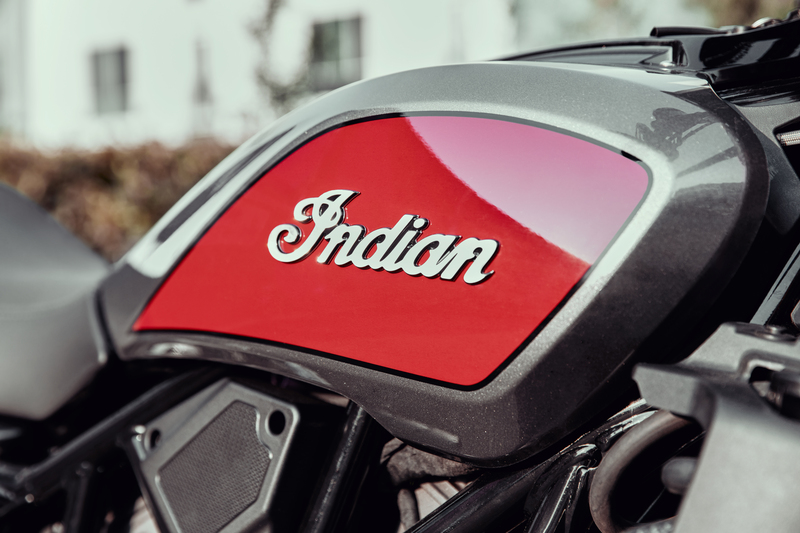 Despite our adoration and applause from press throughout the world, it wasn’t a sales success, and soon found itself lost in the Harley Museum. 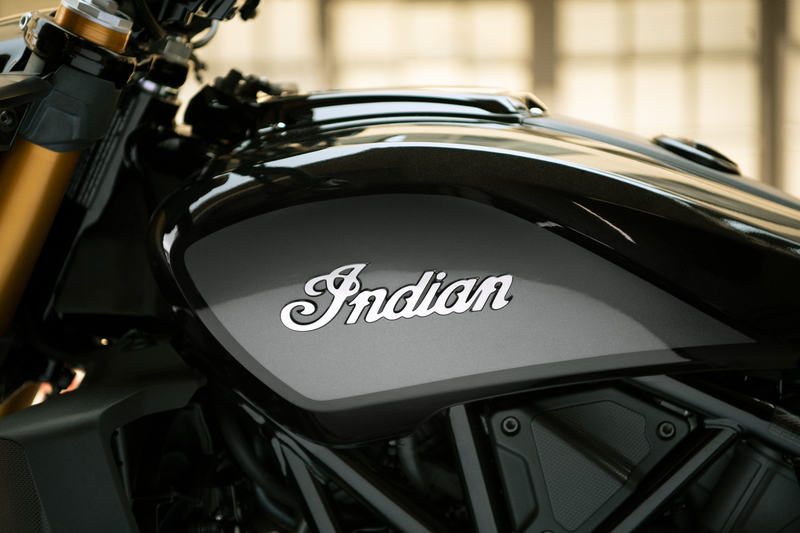 We are very much hoping this Indian doesn’t go the same route, and there are some factors in its favour. 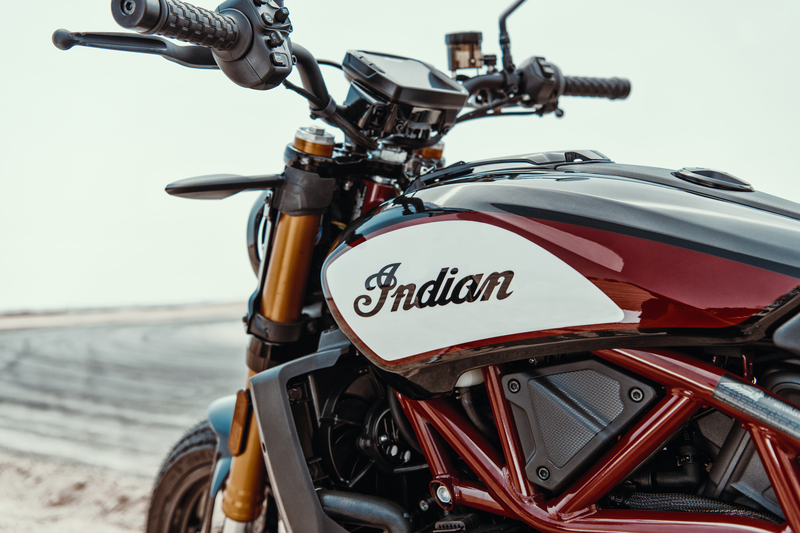 Times have changed and the retro cafe racer – or maybe flat track racer – look is in, and if we dare say so, this Indian looks a good deal better than the XR1200. 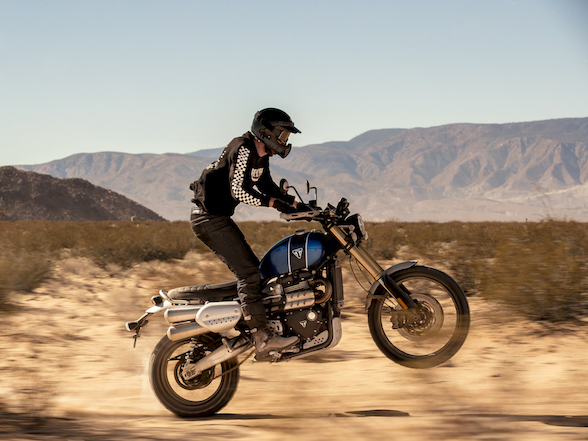 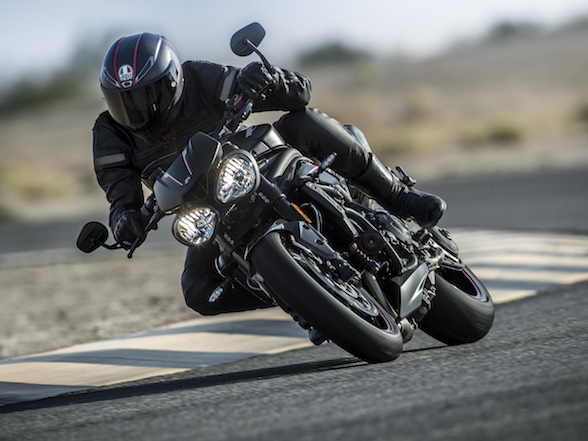 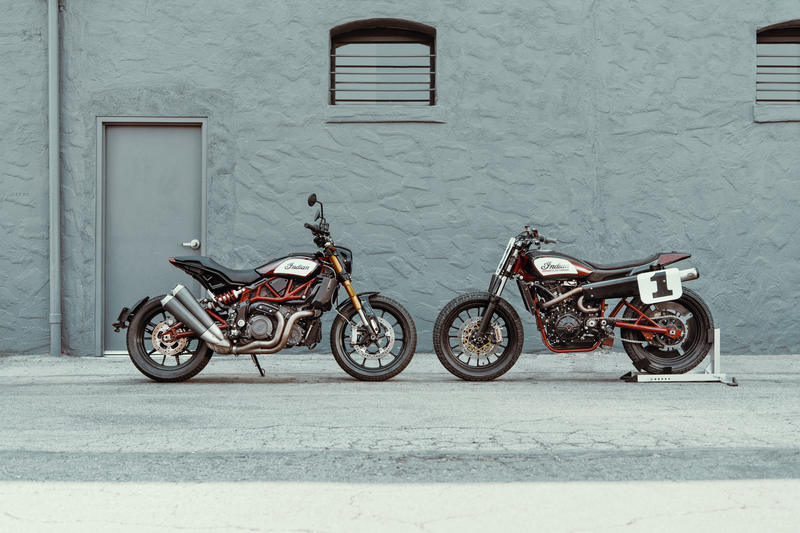 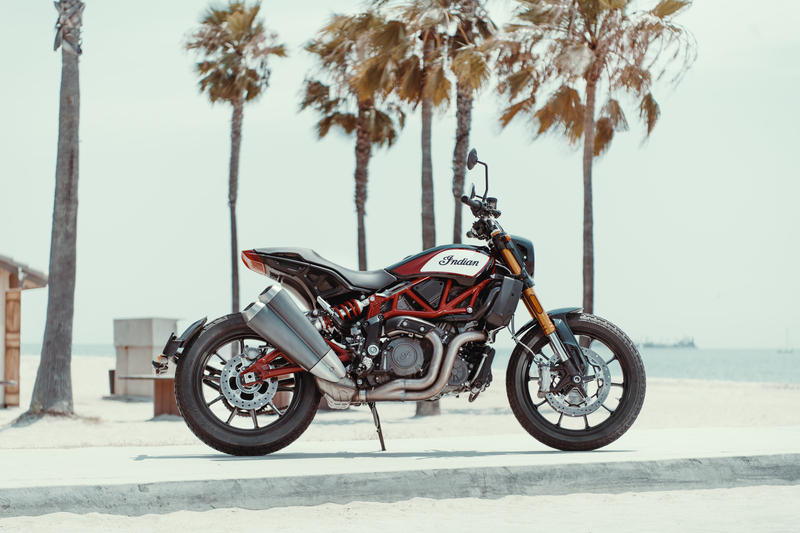 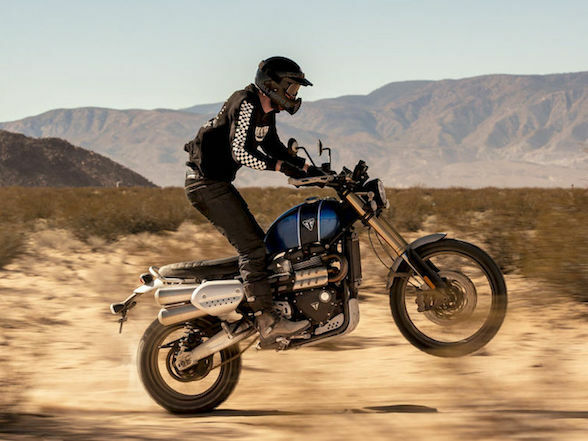 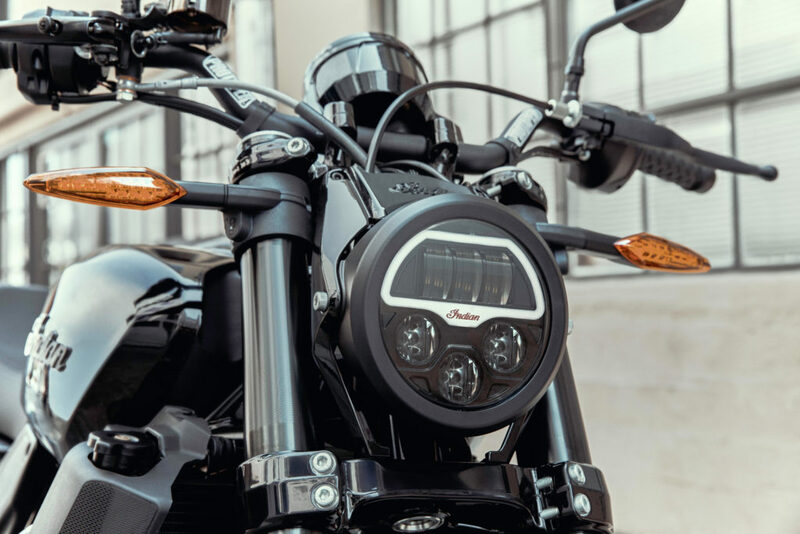 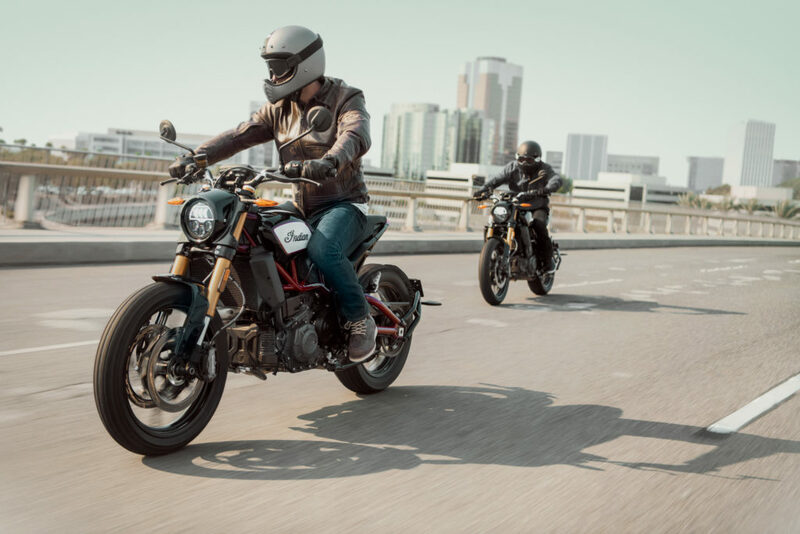 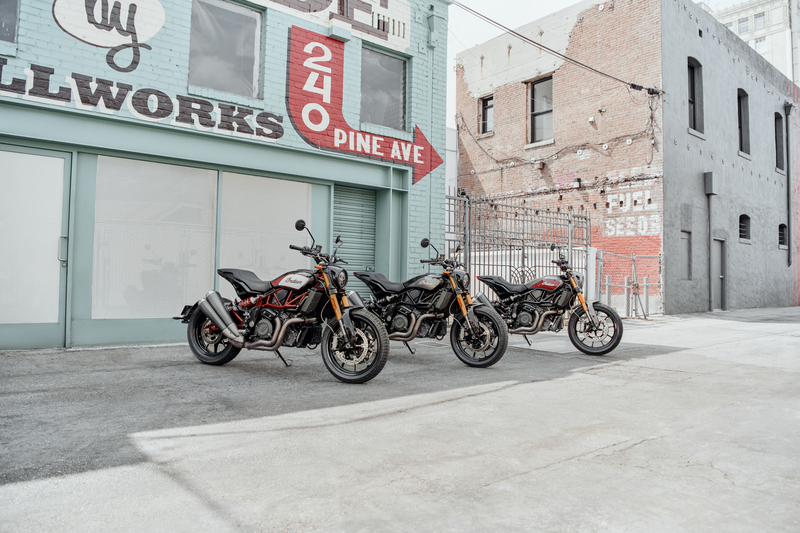 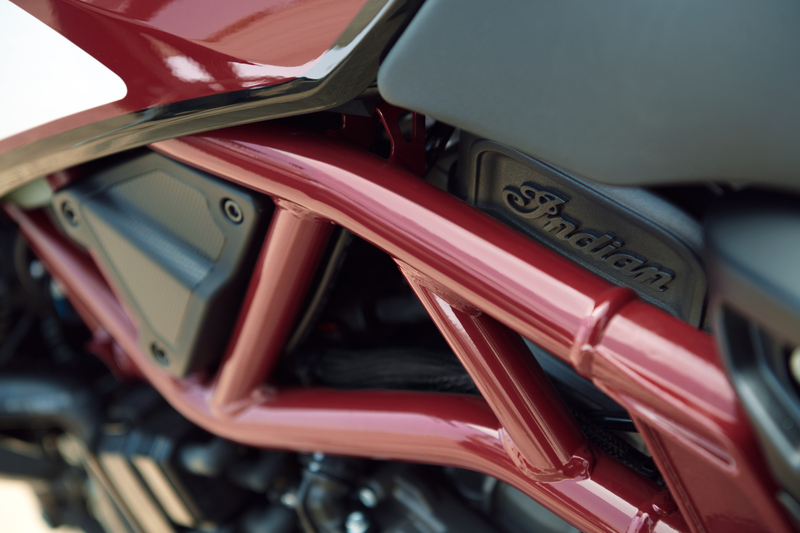 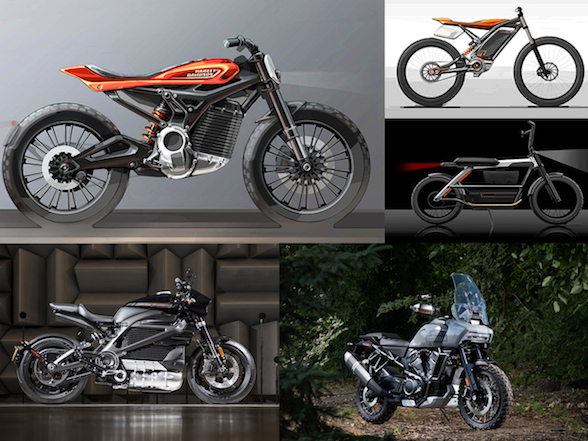 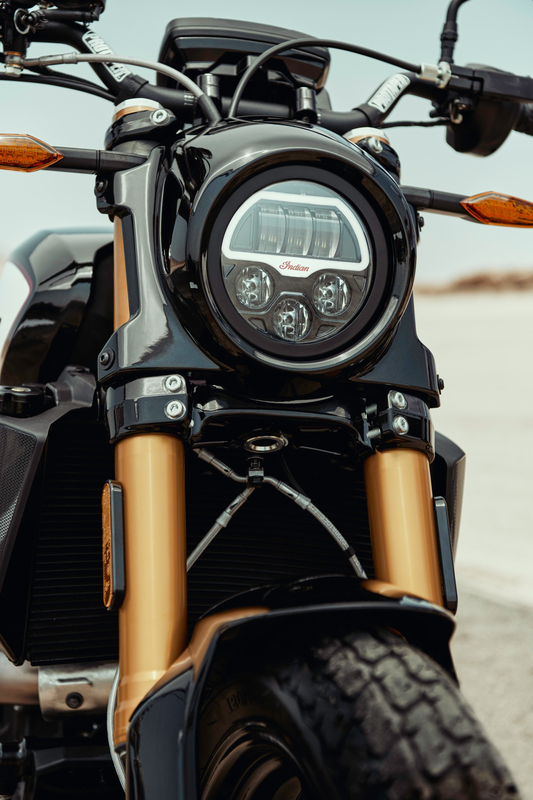 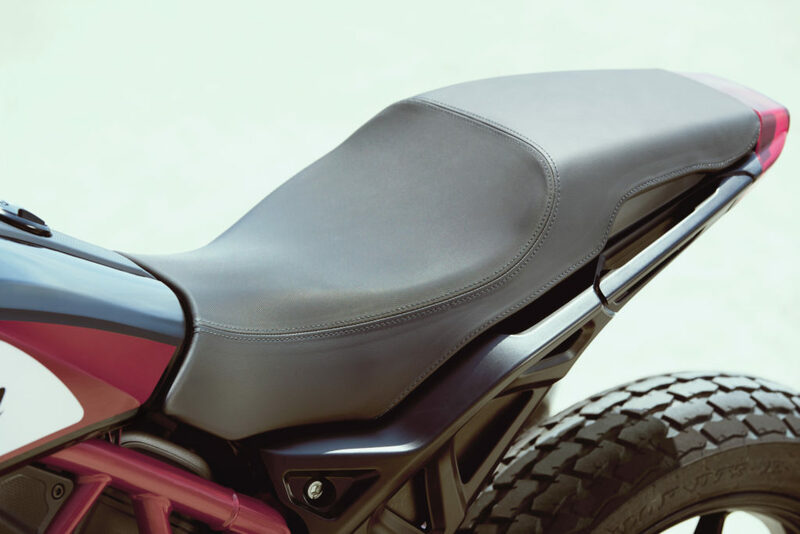 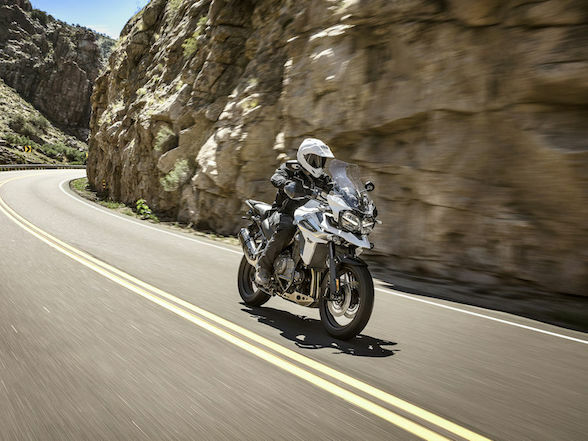 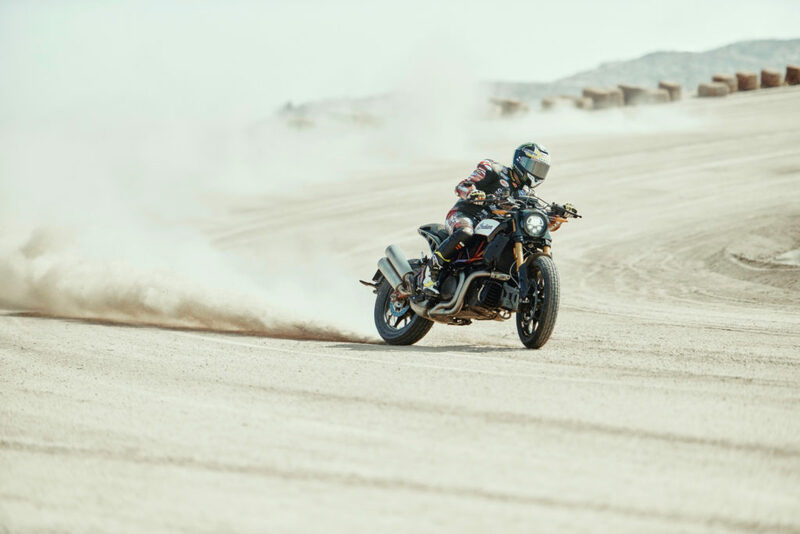 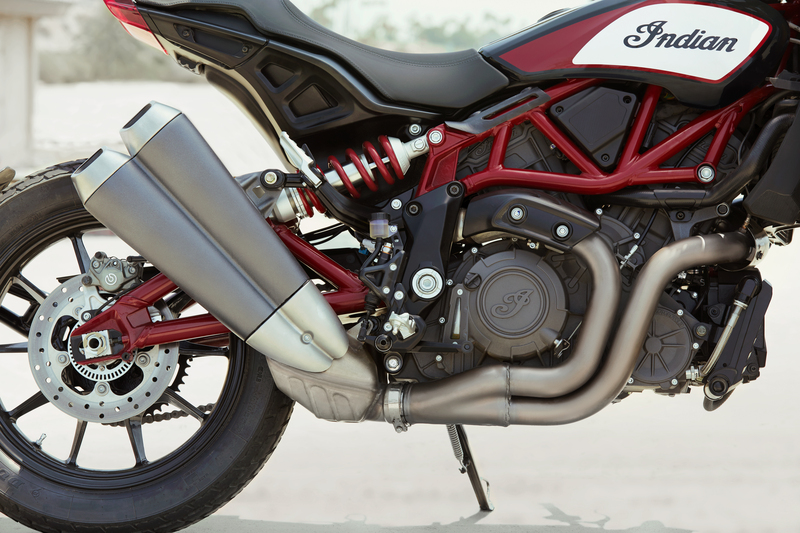 The FTR1200 will be available in Thunder Black, while the FTR1200S will be available in Indian Motorcycle Red over Steel Gray, Titanium Metallic over Thunder Black Pearl, and a Race-Replica paint scheme, matching the FTR750 race bike. 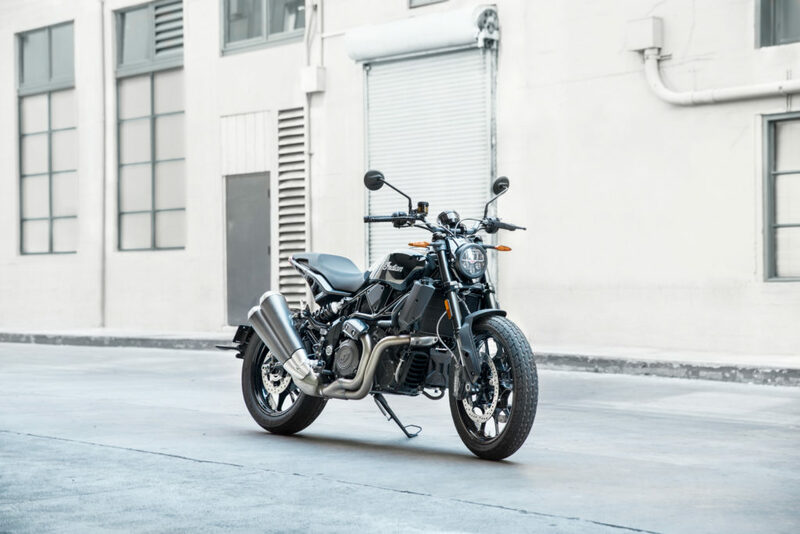 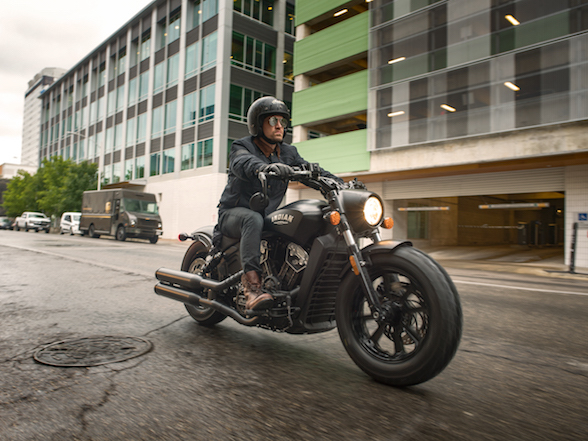 Both models will begin shipping to dealers in the first half of 2019. 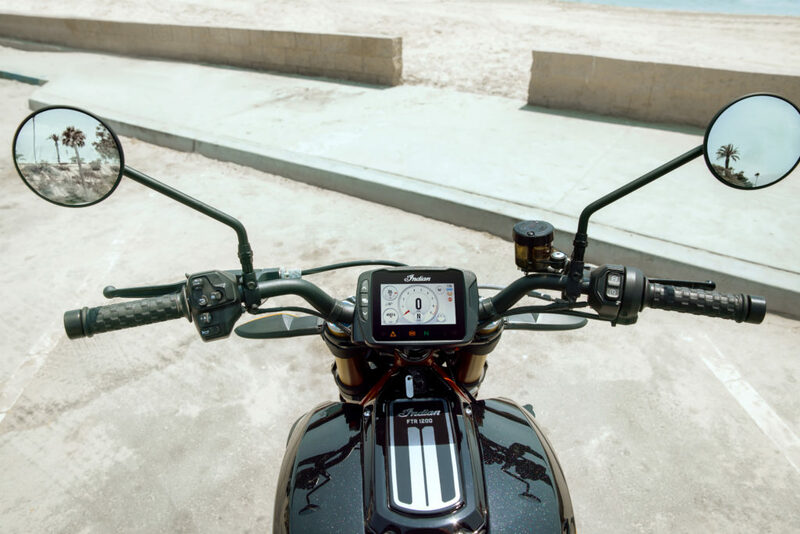 Below is the FTR1200 introductory video from Indian followed by an FTR1200 image gallery.